The Tsipras administration came under fire on Tuesday, with main opposition leader Kyriacos Mitsotakis accusing the SYRIZA-led government of toying with the country’s parliamentary and constitutional order. According to the New Democracy party leader, Alexis Tsipras is leading a “minority government” which is “renting willing MPs” in order to cling on to power. 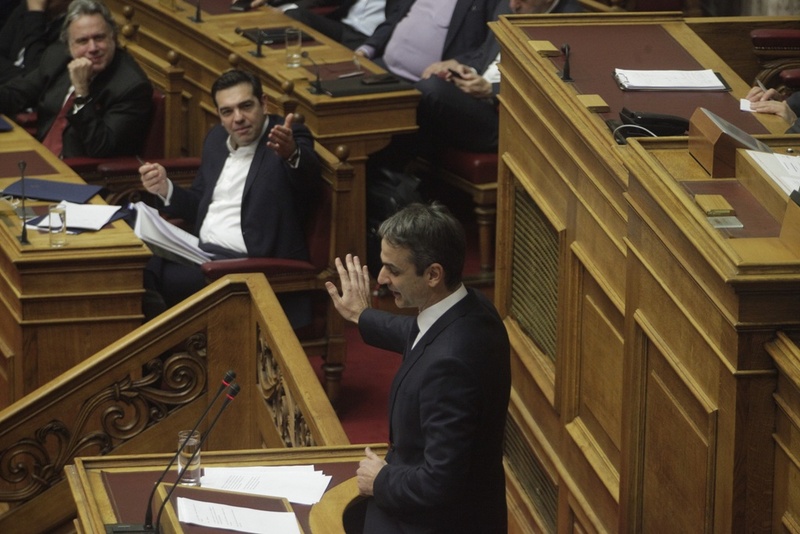 Speaking to party members on Tuesday, Mitsotakis said ruling SYRIZA is effectively locked into a logic of “political transactions” which is undermining the country’s institutions. The conservative leader reiterated his call for a snap election, adding that citizens will send a message to the government whenever polls go ahead. Earlier this week, six non-SYRIZA MPs told Parliament President Nikos Voutsis they will approve any future legislation submitted by ruling SYRIZA, thus ensuring its majority in Parliament. Namely, Tourism Minister Elena Kountoura, Deputy Agriculture Minister Vassilis Kokkalis, Deputy Citizens’ Protection Minister Katerina Papacosta, Thanassis Papachristopoulos, Spyros Danellis and Costas Zouraris all stated their intention to Voutsis, thus increasing Tsipras’s support in parliament to 151 MPs – from 145 previously – in the 300-member House. The situation, however, is unprecedented as Papachristopoulos and Zouraris are currently members of the Independent Greeks (ANEL) parliamentary group, while all six deputies said they will not join SYRIZA’s parliamentary group, despite offering their support to SYRIZA. How ANEL leader Panos Kammenos will react remains to be seen, observers point out. To remind, the former junior coalition partner had earlier attempted to block legislation from being approved at parliamentary committee level as a warning to the government. Meanwhile, opposition parties denounced the decision of the six MPs as “dangerous alchemy”. Moreover, amid growing pressure from the opposition, parts of the local press suggested on Tuesday the Prime Minister is being advised by close aides to call an election by May at the latest, in order for SYRIZA to avoid being hurt by the government’s reliance on non-SYRIZA MPs and the uproar it has led to.